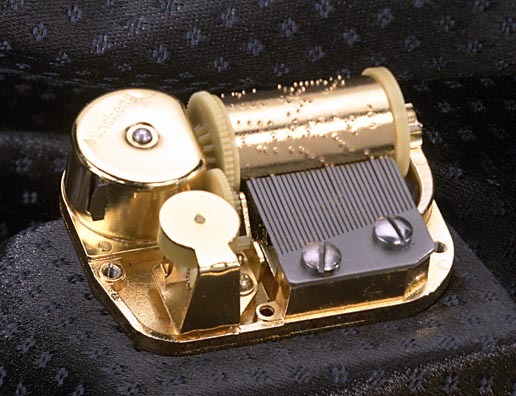 Musical Movements and Music Box Movements - GOLD Finish, 30-Note wind-up style have Exquisite Sound! Includes Free winding key. Plays up to 6 minutes.